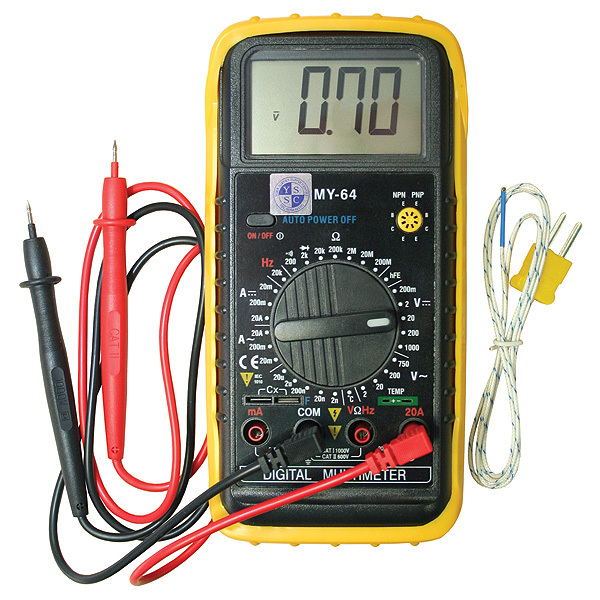 This rugged 3½ digit multimeter has a dual slope A-D convertor, uses CMOS technology for auto-zeroing, polarity selection and over-range indication. It is ideal for use by electricians, electronic engineers, general industry and laboratories. Range DC: 2µA, 20µA, 200µA, 20A. AC: 20µA, 200µA, 20A. Resolution: DC 1µA, 10nA, 100nA, 100mA. AC 10nA, 100nA, 100mA.